PATHs is a collection of trails connecting Portland Arts and Technology High School/Casco Bay High School to over 40 acreas of open fields and forested areas. The trail system is also a major connection between Washington Ave and Stevens Ave. This is also an important part of the cross-city Forest City trail. 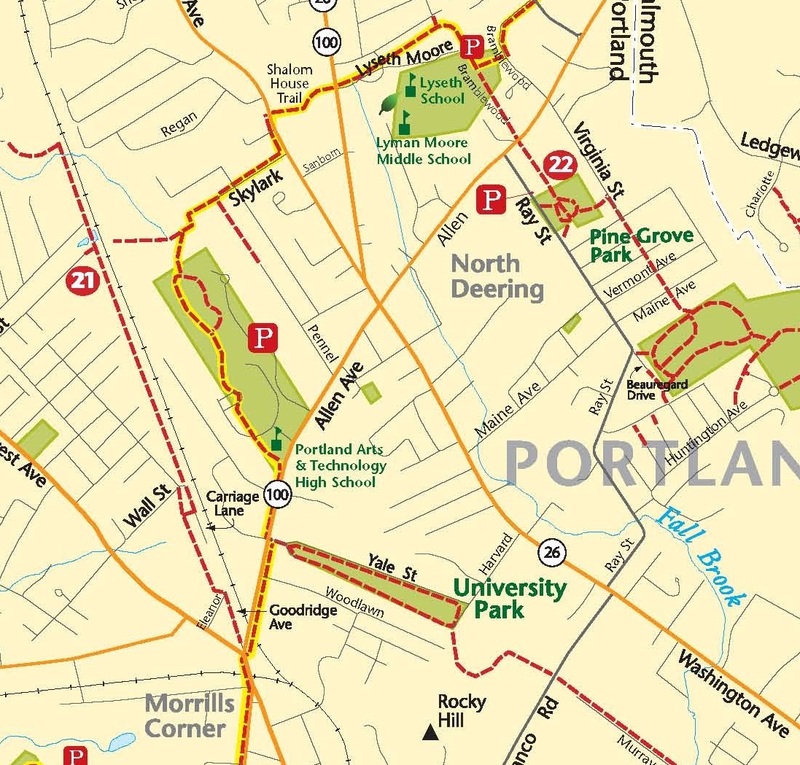 The PATHS area is owned by the City of Portland who maintains the large open field, while Portland Trails maintains the trails that bring you across multiple brooks and into the largest forested area in this part of the city. Keep your eyes open as white tail deer, fox, butterflies and many bird species are common place here. You can access the trail by entrances behind PATHS High School and at the end of Skylark Dr. Parking is available at the high school. There are few spots at the end of Skylark Dr. Be respectful of neighbors' driveways.